A Private Mountain Retreat is found in this spacious, cedar-sided, 2,160 square foot house situated on the highest point of this heavily wooded property bordering the Targhee-Caribou National Forest. 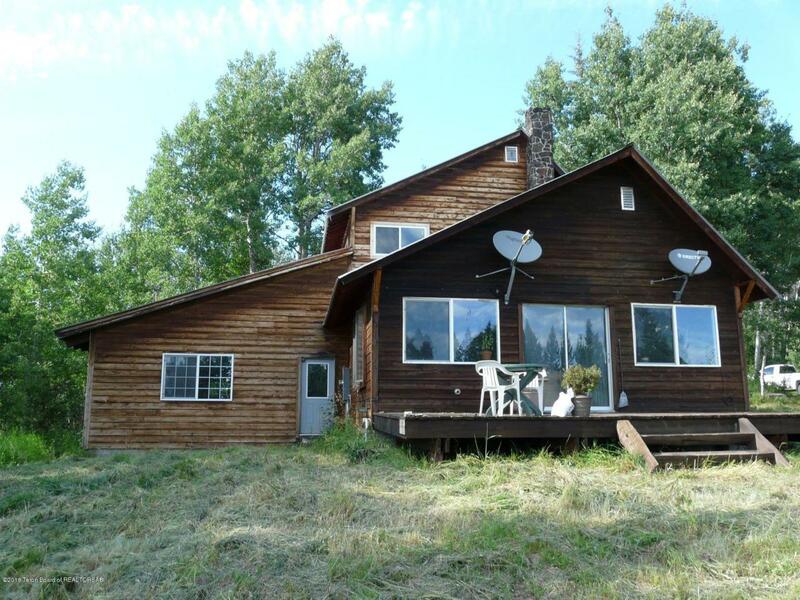 The secluded, 2 bed/2 bath residence is surrounded by 18 acres of aspens and fir with beautiful mountain & valley vistas including the Grand Teton. It has wonderful southern exposure with 2 solar panels which helps decrease the electric and propane costs, as well as a wood-burning stove enhanced by lava rock in the living room. This north end property enjoys close proximity to a host of outdoor recreational activities and provides plenty of privacy. To top it off, there is a 500 SF Bonus room equipped with a pool table included in sale. There is No winter access for vehicles. Listing provided courtesy of Cricket Romanzi of Sage Realty Group.